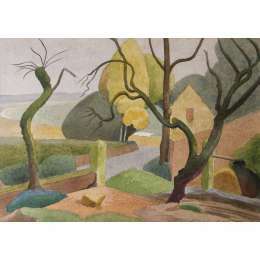 Malcolm Arbuthnot (1877-1967) was an accomplished artist and photographer who spent the last 20 years of his life in retirement in Jersey. He was born Malcolm Parson and changed his name before 1900. His interest in photography was kindled by the gift of a Kodak box camera from his grandmother on his 21st birthday and within four years his work was being accepted by the Royal Photographic Society for exhibition in London. In 1907, he joined the Brotherhood of the Linked Ring, an organisation founded in 1892 by Alfred Maskell and others dissatisfied with the ethos of the Royal Photographic Society exhibitions, with the aim to promote naturalistic and aesthetic photography as an independent art. He discovered and patented a process for producing romantic, impressionist-style photographic effects and sold it for a considerable amount of money. He worked for Kodak in Liverpool and, from 1914, he ran a portrait studio in London's New Bond Street, photographing many celebrities including George Bernard Shaw, Noel Coward, Sarah Bernhardt, Diaghilev, Matisse and Yates. 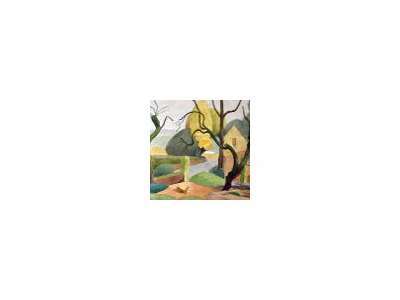 After World War I he gave up photography in favour of painting, working in oils, watercolours and gouaches. He married twice, and had numerous adopted children.His first marriage to Florence Emily Goold ended in divorce. His second wife Florence Annie Davison was the widow of George Davison, a millionaire through investments in Kodak, and her inherited wealth enabled the couple to retire to Jersey in 1946, after paying regular visits from 1931 onwards. A large collection of his early work was lost in the fire at Le Gallais warehouse in 1949 but he kept working until shortly before his death at 90 and produce most of his best work in the last decade of his life.